フィリピン留学に興味がありますか？ / Are you interested in studying abroad in the Philippines? Hello everyone! Are you interested in studying abroad? I am often asked by my students if it's a good idea to study abroad. My answer is... I think studying English abroad is a great way to learn English! The reason is, by studying abroad you can improve your English skills, as well as have experiences which will allow you to grow as a person. By studying English abroad, you can learn about other cultures, talk with people from other countries and learn both positive and negative aspects of your own country. I strongly recommend studying English abroad! Recently, the Philippines have become a popular place to study English abroad. It's safe, prices are low, Filipino people are very kind and it is a beautiful country. 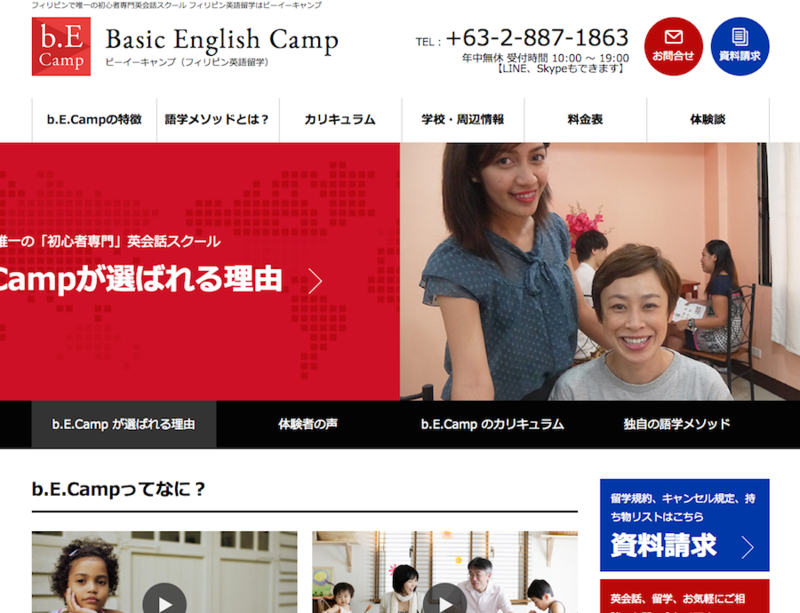 If you are interested in studying English in the Philippines, I recommend Basic English Camp. They provide schooling and accommodation, it's very convenient. If you enroll via an introduction by Sendai's Sensei, you will receive half off the initial enrollment fee! Anyone who is considering studying English in the Philippines, please contact us. See you later everyone! Be sure to study hard!